During Operation Shingle at Anzio, Italy, 1944, the Special Force were brought ashore on February 1st, after the decimation of the U.S. Rangers, to hold and raid from the right-hand flank of the beachhead marked by the Mussolini Canal/Pontine Marshes, which they did quite effectively. It was at Anzio that the enemy dubbed the 1st Special Service Force as the “Devils Brigade.” The diary of a dead German soldier contained a passage that said, “The black devils (Die schwarze Teufeln) are all around us every time we come into the line.” The soldier was referring to them as “black” because the brigade’s members smeared their faces with black boot polish for their covert operations in the dark of the night. Canadian and American members of the Special Force who lost their lives are buried near the beach in the Commonwealth Anzio War Cemetery and the American Cemetery in Nettuno, just east of Anzio. The first unit sent into Rome, the Devils Brigade were given the assignment of capturing seven essential bridges in the city to prevent the Germans from blowing them up. During the night of June 4th, members of the Devil’s Brigade entered Rome. After they secured the bridges, they quickly moved north in pursuit of the retreating Germans. The following morning, throngs of grateful Romans lined the streets to give the long columns of American soldiers passing through the city a tumultuous reception. War photographers captured the scenes of joy on film to be seen back home, but the soldiers who actually liberated the city had passed through Rome during the early morning hours in darkness and near silence and were again in fierce combat with the Germans along a twenty-mile front on the Tiber River. 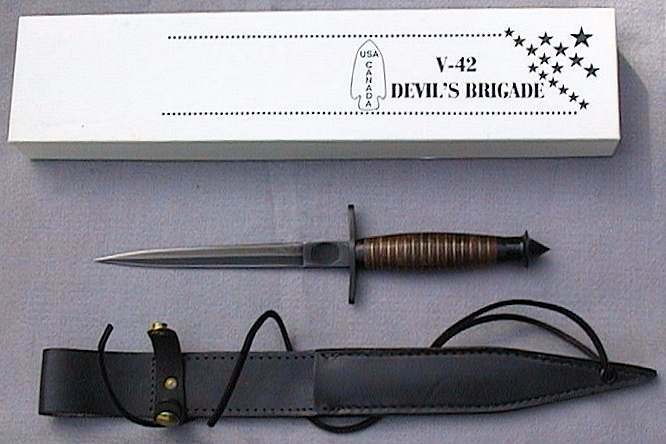 The Devils Brigade, a one-of-a-kind military unit that never failed to meet its goal, was disbanded by the end of the War. However, in 1952 Col. Aaron Bank would create another elite unit using the training, the strategies, and the lessons learned from the Devil’s Brigade’s missions. This force would evolve into specialized forces such as the Green Berets, Delta Force, and the Navy SEAL. In Canada, today’s elite and highly secretive JTF2 military unit is also modeled on the Devil’s Brigade. Like World War II, Canadian JTF2 members and American Deta Force members were united again into a special assignment force for the 2001 invasion of Afghanistan. 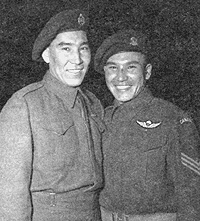 A large number of the Devils Brigade members were honored for their acts of valour, including Tommy Prince (on right in the image at left), Canada’s most decorated aboriginal soldier of WW II. 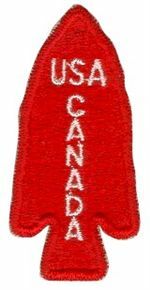 One of the most unique combat units in Italy was the First Special Service Force, a bi-national group consisting of elite Canadian and American fighters. The Canadian part was originally the 2nd Canadian Parachute Battalion, then renamed the 1st Canadian Special Service Battalion. In June 1942, when it joined with US Army troops and became the First Special Service Force, Canadians comprised 1/4 of its strength, 47 officers and 650 other ranks. Training was arduous — parachuting, skiing, and mountain climbing. Everything was done “at the double” and their physical conditioning was aided by calisthenics, obstacle courses, and long marches with hundred-pound packs. Each man learned how to handle explosives and to use every weapon in the Force’s extensive arsenal. Hand-to-hand combat, night fighting, and use of captured weapons rounded out the training program. These specialized skills were necessary, for the Force members were to become shock troops, frequently raiding strategic positions and often parachuting behind enemy lines. Their effectiveness would earn them the nickname, “the Devil’s Brigade”. The First Special Service Force arrived in Italy in November 1943, as the 5th U.S. Army was preparing to capture the mountains that guarded Cassino to the south. Its first task was to throw the Germans off two of the highest peaks, Monte la Difensa and Monte la Remetanea. Climbing ropes in the dense fog, the Force took the Germans by surprise on Difensa. Following a bloody, six-day battle, Monte la Remetanea was captured. Its first involvement in the Italian campaign cost the First Special Service Force 511 casualties, including 73 fatalities. The First Special Service Force arrived at the beachhead on February 1. A few reinforcements left it with a combat strength of 1,233, all ranks. Only one of its regiments was intact, the other two were at half-strength. The Force promptly took over one-quarter of Anzio’s thirty-mile-long front, and in a week forced the Germans to withdraw more than a mile from the Mussolini Canal, which was situated at the right flank of the bridgehead. Performing night raids, scouting and reconnaissance, one of the most successful Force soldiers was 28-year-old Canadian Tommy Prince from Manitoba, who became one of Canada’s most-decorated Aboriginal soldiers, with the Military Medal and the U.S. Silver Star for bravery in action. One of his most famous exploits, earning him the Military Medal, occurred near Anzio, where he calmly placed himself in great danger to report enemy artillery positions. Despite outstanding performances like this, the Force’s casualties at Anzio, while not heavy, mounted steadily. By the time it came out of the line on May 9, it had lost 384 men, killed, wounded, or missing, 117 of which were Canadian. While the Canadian army was not directly involved in the liberation of Rome, there was a Canadian presence. Members of the First Special Service Force were the first liberators to enter the city. 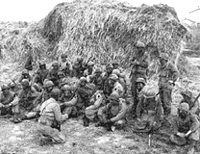 The Force had spent nearly a hundred days in continuous action and so when it came out of the line at Anzio, was given an opportunity to rest and reorganize. Reinforcements strengthened the unit, including 15 Canadian officers and 240 other Canadian ranks. In late May, the Force headed toward Appian Way, one of the two highways to Rome from the south. Once again the members found themselves in the mountainous terrain in which they excelled and soon seized Monte Arrestino at the entrance to the valley leading northwards to Valmontone, then took Artena, near Valmontone. The approach to Rome began early morning on June 3 and by midnight, the Force had reached Rome’s suburbs. An hour later the Force commander was ordered to seize the Tiber bridges into the capital. The next day, they entered Rome, fanning out across the capital to seize key locations in Rome’s center. Soon after, before the end of the Italian campaign, the First Special Service Force left Italy to fight in southern France and was disbanded in December that year. There has been a “controversy” raging in the media of late. Apparently, CND will not let out any information, under the Access law, about the FSSF, a joint Canadian-US special force from WWII. Here is the FSSF’s story including their campaign stops. Learn about The Devils Brigade - Properly designated as the 1st Special Service Force, The Devil's Brigade was a joint World War II American-Canadian unit. My grandfather William ‘Sam’ Magee was in the force. I was lucky enough to grow up listening to his stories. Although he passed a few years ago I’m still able to listen to his stories. He spoke alot about his experiences and they were even recorded and posted online. I see a few comments on here about wanting to hear more about their experiences and my grandfather would want nothing more than his stories to be heard. Not all of the clips are specific to the force but he speaks about everything, fishing, christmas, training etc. Please note that some of these do include combat stories and may not be for everyone. There are also some stories from other veterans on there. My brother Clarence Madson was in the devils bregade! I’ve never seen any pictures of him there. I was wondering if anyone else has any? Rick Shaddock- there were man Forcemen whose names did not make it into Burhans. The original Blue Burhans was published in 1947 and a supplement was released in 1949. There were approximately 3690 men in the Force which included replacements from the US and Canada, most of those trained at Fort Ethan Allen in Vermont and members of the US Rangers unit who were folded into the Force in Italy. There are about 40 books specifically about the 1st SSF and the link you included has many of them in the reference section. If you are wondering if a relative was in FSSF you should look up Burhan’s Roster and review the list. If the name is not in there then he was not a member or follow the link. I am trying to find out more about my father’s involvement…. he never spoke much of his time in the war, but what little he did say has led us to believe he was in the SSF. He also told my nephew once and his brother (my godfather) once that he was special forces…. but his cover story was that he was a swimming instructor. As he grew up in rural Saskatchewan, and no one else in his family is a swimmer, yet he did swim like a fish, one has to wonder. He was also fluent in German, and he once told me (the night before I went into the military myself) about parachuting at night and walking with a full pack on, down a stream in Italy. So, any information anyone can give me, pictures, etc…. it would be greatly appreciated. I have his records from Ottawa, but they are incomplete and very vague…. they don’t tell me a lot. His name was Joe Hoffart… often called “Big Joe” as he was a very large man, stood 6’3″ and was fluent in German and English. Your last comment in the article about the CND not releasing information on the FSSF intrigues me. What is this about? My family and I have been trying to sort out the conflicting information regarding my father’s time with the FSSF and the odd military records of his time in the army. You may be able to shed some light on why we are not getting anywhere with this! Thank you for sharing this, my grandfather passed away a few years ago and I am currently embarking upon the journey to get him a tombstone. He was in the same Troop as sgt. Tommy Prince, I have several hundred photo’s of them in his collection and I will be doing a book in order to try to scrape together enough money for a tombstone. My Grandfather turned down medals, I do not know which ones, so I have been in contact with Ottawa trying to get that corrected so that I can inscribe them on his tombstone. My uncle, my father’s youngest brother, Laval Paradis was in the Devil’s Brigade. He died taking either Monte Casino of Mount Difensa? Italy..he was only 23 years old. If anyone can tell me anything more about him I sure would appreciate it. Do you have pictures of your dad? If he was Canadian I am\\may have pictures of him and I want to identify people in the troop photo’s I have. Hugh McVeigh was my father’s cousin. He joined the Winnipeg Grenadiers and was part of The Devil’s Brigade. He survived the war and died in 1992 (in Winnipeg.) His wife and daughter have also passed away but he does have grandchildren (surname Simpson, in Calgary?) and I would like to get in touch with them. of him and his group in Vernon BC Sept 1943. Was this part of the Devils Brigade? My brother in law seems to think it was as the were told stories of the Brigade. My grandfather was FSSF, Sgt. George W Carroll from Vancouver, BC. After the disband of the unit he was attached to Force 136 British Intelligence and sent to Burma. I am researching his FSSF service and would love to find someone that may have known him. Do you have pictures of him? If he was Canadian I am\\may have pictures of him and I want to identify people in the troop photo’s I have. My Uncle was in the FSSF he was in 2-2. He was MIA Presumed Dead yet in the Burhans he is listed as deceased. He had two brothers and two sisters also in the Canadian forces. He was the youngest enlisted sibling and was only 17 when MIA Presumed Dead. If anyone who has info on 2-2 it would be appreciated. My father in law, Edward Caissie served with the FSSF. He was North Shore regiment, Gloucester. Would love to see any pictures people might have. My father in law fought with the Devils Brigade. Don’t know too much about it as he did not like to talk about it. I know he was in Italy. His name was Nick Dizak. My father served with the First Special Service Force with the 5/3 his name was PFC Clyde John Young. I have been trying to find anyone who might have known him, that might have any pictures or articles about him. I also served with the 173rd Airborne in Vietnam for 2 years. I am trying to make a scrapbook for my kids so they can remember my father. I have no relantionwship with anyone inthe FSSF, however, I have a deep respect for their sacrafice, courage, and intestinal fortitude. I am traveling near Napoli Italy, and I would like to see some of the sites that has become the halmark of their accomplishments. If there is anyone who can assist with directions, to Monte de Difensi, or others near by please feel free. I would greatly appreciate any assisitance I could get! My father-in-law was a member of the FSSF 4th Co. 1st Reg.-and I have been poring over photographs and newspaper clippings, medals, etc. as I am creating a special book in his memory. He never talked about his experiences. He looked forward to visiting Montana for the Special Forces Reunions. I did not pay much attention to the history, so now as I am reading about their feats of bravery and their incredible success, I feel awe, and great respect. I wish he was here to realize the recent recognition being given him and his brave comrades. He was like a father to me…he passed away in 1987 and his son, my husband passed away 2010. Hence my interest in preserving the information for my children and grandchildren. Judy, I would be very interested to see the book that you create. As a member of the of the modern unit that descended from the 1st SSF, I am very interested in the history of the unit, but more specifically the personal experiences. It is something that can be shared in this unit to keep the memory and traditions alive! I plan to get to the reunion this year to honor their service. Thank you for your interest. The book is not just about the FSSF but a small pictorial biography which includes some of his FSSF activity. I just saw this reply of yours tonight as I am reviewing my grandson’s article for school on the subject! I did not put the book online, as I have some things that might be copyrighted material, I made four copies for family. I would also LOVE to see your scrapbook/book. My grandfather served in the FSSF 4-2. He passed away shortly after I was born, so i have no recollection of him. Only through photos and stories. I too am trying to preserve his story for future generations, including my children. My only regret is that I didn’t start this journey earlier in life. His wife, my grandmother, is still alive at 96 but suffers from severe dementia. Unfortunately the days have passed that she would be able to “fill in the blanks” in his story. I find all of it absolutely fascinating. My dad once mentioned that he had done a bit of training in Montana but was based in Burnaby, BC. The one thing he did mention was when they had finished their training, they still had their full auto machine guns while the Canadians still had their semi auto. My question is how do I find out if he had trained with the Devils brigade? He hardly spoke of it but when the war ended, he was sent to Lethbridge to guard German POWs. Where can a person find this roster of Canadians in the SSF? I have never been able to find one. My Dad knew your Grandpa post-war, and held him in high regard. He doesn’t have much information re: his service years, but would b pleased to share what he knows. Please drop me a line @ fargainbinder@hotmail.com and we’ll get some communication going.